In this emotional debut, a New York executive, restless in his success, is sent to West Virginia, where a small-town girl and her son open his eyes to a richer life than he could have imagined. On the surface, Charlie Burden and Natty Oakes could not be more different: she, the daughter of many generations of rural farmers; he, an executive at a multinational engineering firm. But in each other they find the new lease on life they both so desperately need. Natty dreams of a life beyond her small town. She is unhappily married to her high school crush—who now spends more time at the bar than at home—and passes the time nursing retired miners, coaching her son’s soccer team, and running the mountain trails she knows by heart, longing to get away from it all. Charlie has everything he ever thought he wanted, but after twenty-five years of climbing the corporate ladder, he no longer recognizes his own life: his job has become bureaucratic paper-pushing, his wife is obsessed with their country-club status, and his children have grown up and moved on. When he is sent to West Virginia to oversee a mining project, it is a chance to escape his stuffy life and to get involved, instead of watching from the sidelines. Arriving in Red Bone, though, he gets more than he bargained for: his new friends become the family he was missing, and Natty reminds him what happiness feels like. 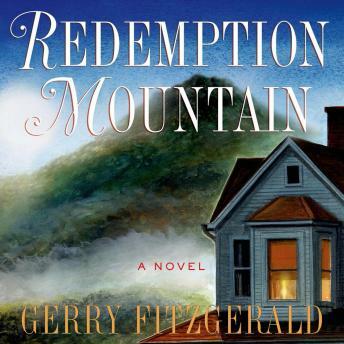 When his company’s plans threaten to destroy Natty’s family land, his loyalties are questioned, and he is forced to choose between his old life and his new love in a fight for Redemption Mountain. Very well written story. A lot of history and culture and real life integrated into it. Loved it! !